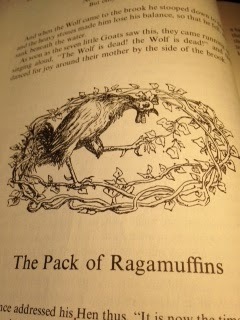 Gossamer Obsessions: Once Upon a Blogger: "The Pack of Ragamuffins"
Thank you soooo much for doing this project. Your mini-reviews are my guaranteed giggle of the day. My fave so far is the one about the badass goat mom. Priceless! but all of them are good.